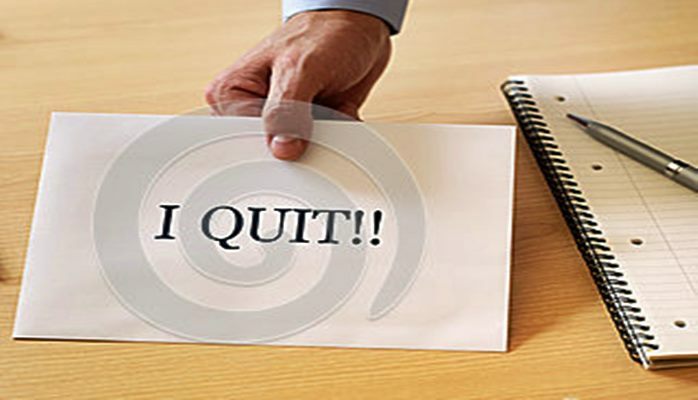 There seems to be a multitude of posts on the topic of quitting populating LinkedIn in recent days. Maybe it’s the coming of spring and how the change of seasons enlightens and empowers people to start anew; maybe it’s because the job market is supposedly on the upswing. Not being a social scientist, but a simple writer, I am absorbing these with growing interest and not a minimal amount of wonder. I was working for a news service in Washington, D.C. — a place which was a starting point for many journalists in the post-Watergate era. The pay was abysmal, the boss was a tad paranoid — but the pluses far outweighed the negatives. You got a chance to cover political Washington and at the same time get your bylines in some of the country’s most prestigious newspapers and wire services. And for many — some with now household names — the company’s opportunities led to much bigger and better things. Each of one us fledgling reporters was assigned different newspapers, usually decided by state, and if we were not that publication’s primary reporter, we did get pretty significant stories to write. Particularly if your state had one of the more influential and busy newspapers. I was assigned two states: One which had two small, but good papers; the second with some of the best papers in the country. Despite being dirt poor, I was having the time of my young life: I was a Washington correspondent and my byline appeared on the same pages with journalists of note. Ramen and tuna were staples, but who cared! A new reporter was introduced to the newsroom who had some prior experience in my bigger state and I was told he would be taking over the papers in that jurisdiction. I tried to point out the absurdity of the first accusation to no avail. I then pointed to my unbridled enthusiasm and loyalty in my months of coverage: This too changed nothing. So, I turned to the boss, told him what I thought of him and stormed out the door, taking the minimal belongings that were mine. The managing editor literally chased me down the street and asked if I knew what I was doing and that jobs in journalism weren’t easy to find (even back then). I said I could care less; I was throwing caution to the wind and let the chips fall where they may. I was also in my mid-20s! I had snatched from underneath me the opportunity to work for two of the best newspapers in the country at the time. Total disrespect was the reason I quit — that, and I was young enough to do so with youth’s empowerment of invincibility on my side. I to this day believe that there is only so much disrespect a person can take at a workplace before they decide enough is enough. And, I might have quit some other jobs before the time was appropriate had I not found other venues — or needed the money. But my age was the key: It’s a lot easier to quit outright when you are 25 than when you are 45! And, by way of a postscript: I found another quite awe-inspiring job the next day.